When you need 24-hour locksmiths in Corpus Christi, give us a call. We will provide you with fast and reliable service when it comes to your home, office, car, or any other locking system. With Pros On Call, you can be assured that you will always receive a quick response time of 30 minutes or less and upfront pricing. In addition, our team is licensed, bonded, and insured and equipped with all of the latest tools and equipment needed to handle any job, large or small. Let’s take a look at what services you can depend on from Pros On Call. Emergencies happen, which is why our staff is available 24/7. When you find yourself locked out of your car, home, or office our experienced and licensed technicians can respond to you within 30 minutes. We have the state-of-the-art technology and experience to open almost any type of lock out there. Our emergency mobile locksmith service can also aid customers who need emergency lock changes and repairs. No matter how much new technology is released in the automotive market, there’s always the possibility of locking yourself out of your car. Our friendly staff is standing by to take your call and get a technician out to your location as soon as possible. Not only can we unlock any model car, but we can also fix broken keys and ignition cylinders swiftly. 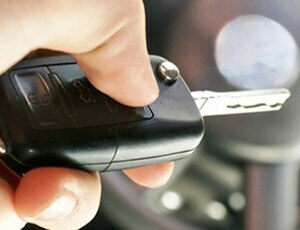 You can count on us to quickly replace car keys that include laser cut keys, transponder keys, car fobs, and more. Our friendly services are even available to you if you need new car keys made while stranded at the Corpus Christi International Airport. Call our automotive locksmiths in Corpus Christi, TX any time. Our skilled staff can provide your commercial business with many lock-related services. These include commercial safe installation, high-security lock upgrades, and keyless entry systems. In the event of an emergency, we can also provide you with a number of quick and efficient services. We are here to assist you with all your home lock needs. Whether you are looking to upgrade or you are dealing with an emergency, Pros On Call is only a call away. We are experienced to handle all types of lock services for deadbolts, cylinders, high-security grade 1, keyless entry, and mortise locks. Whether you need lock changes, rekeys, installation, or repair, we can help you in a timely fashion for an affordable fee. We service all types of lock brands too, such as Folger Adam Electric Door Control, Medeco, and Falcon Lock. Corpus Christi is home to beautiful beaches and views of the Gulf of Mexico. From time to time it can be very easy to lose track of what you are doing and accidentally lock yourself out of your car or home. It’s important to stay calm and realize that it happens to the best of us. Before calling in the 24-hour locksmiths in Corpus Christi Texas, there are a couple of things you should do first. It’s very easy to freak out about locking yourself out of your driver’s door that you don’t even realize that the other car doors are unlocked. You may even realize one of the back windows is down where you can reach inside and unlock your car. The same concepts apply to your home. Calm down and check all your access points before contacting the local locksmiths. When you get a new car or home it’s likely you put a spare key somewhere safe so that you would have it when you needed it. Take a moment and remember where your key is. If you don’t have a spare, it’s probably a good time to add that to your list of things to do. Never try to break in or break windows to attempt to gain access. If you still need help, just request our locksmith services and we will be right there to assist you. 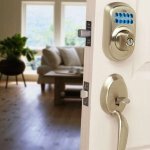 24-Hour Locksmiths In Corpus Christi TX https://prosoncall.com/texas-locksmith/houston/corpus-christi/ 4.0/5 based upon 26 reviews.